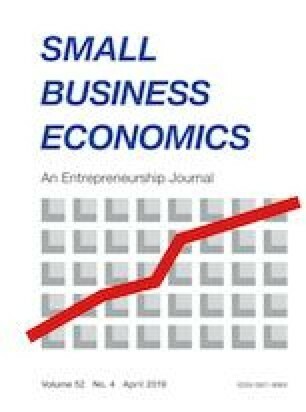 This paper aims to analyze access to bank financing by small firms belonging to business groups compared to independent firms. We consider Italian manufacturing firms during the severe credit-crunch during 2010–2012 caused by the financial crisis and subsequent domestic recession. We expect belonging to a business group to facilitate access to bank financing as the result of two different mechanisms: (i) the implicit guarantee provided by group belonging (affiliation effect) and (ii) the transfer of resources via the internal capital market (portfolio effect). The empirical evidence confirms our hypotheses. Belonging to a business group facilitates access to bank financing, while the presence of an internal capital market, which substitutes for both the decision to obtain bank financing and the amount borrowed, makes firms that are part of a business group less dependent than independent firms on this type of financing. Ang, A. E. S., Masulis, R. W., Pham, P. K., & Zein, J. (2018). Internal capital markets in family business groups during the global financial crisis. UNSW Business School Research Paper Forthcoming. https://doi.org/10.2139/ssrn.2517810. Bae, K. H., Kang, J. K., & Kim, J. M. (2002). Tunneling or value added? Evidence from mergers by Korean business groups. Journal of Finance, 57(6), 2695–2740. https://doi.org/10.1111/1540-6261.00510.